G.P. Putnam's Sons, 9780399174322, 400pp. Sam and Remi Fargo search for a legendary lost city in this thrilling adventure from the #1 New York Times-bestselling author. Husband-and-wife treasure-hunting team Sam and Remi Fargo have heard many rumors about the bay off Guadalcanal in the Solomon Islands. Some say it was the site of the vanished empire of the Solomon king and that great treasure lies beneath the waters. Others say terrible things happened here, atrocities and disappearances at the hands of cannibal giants, and those who venture there do not return. It is cursed. The Fargos can't resist the mystery, but their exploration takes a turn when islanders start disappearing. Soon the pair learn there may be truth behind the fables. Clues and whispers lead them on a hunt from the Solomons to Australia to Japan, and what they find at the end of the trail is both wonderful and monstrous--and like nothing they have ever seen before. 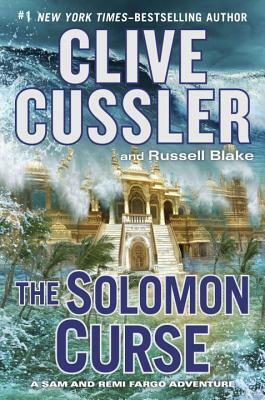 Clive Cussler is the author or coauthor of over fifty previous books in five bestselling series, including Dirk Pitt(R), NUMA(R) Files, Oregon(R) Files, Isaac Bell, and Sam and Remi Fargo. His nonfiction works include Built for Adventure The Classic Automobiles of Clive Cussler and Dirk Pitt, plus The Sea Hunters and The Sea Hunters II; these describe the true adventures of the real NUMA, which, led by Cussler, searches for lost ships of historic significance. With his crew of volunteers, Cussler has discovered more than sixty ships, including the long-lost Confederate ship Hunley. He lives in Colorado and Arizona. Russell Blake is the author of dozens of acclaimed thrillers, including the Assassin, JET, and BLACK series, and is the coauthor with Cussler of The Eye of Heaven. He lives on the Pacific coast of Mexico.